Is Your Blog Attracting Enough Attention? Nowadays it seems like everybody has a blog. It makes sense when you consider the amount of attention a blog can gain for a website. Blogging increases a website’s ranking on the search engines and attracts more visitors. This can be especially beneficial for businesses. Numerous studies have shown that the more times a person visits a business’s website the more likely they are to think of that business when they need what they offer. An interesting blog keeps the reader engaged, encouraging them to check back often and share content with their friends and family. When a website receives a lot of visitors, their ranking on the search engines improves. All of this is very good news for individuals and businesses wanting to increase their exposure. However, a poorly written blog or one that does not follow Google’s guidelines can have the opposite effect; visitors quickly lose interest and search engine ranking drops, sometimes falling off the list entirely. Have you ever tried reading a poorly written blog? Sometimes they don’t make any sense, other times the spelling and grammar is so terrible that it becomes all you can focus on. Occasionally you come across several different blogs on different websites that are exactly the same, word for word. These types of blogs are not interesting, not worth sharing and are quickly removed from Google and the other search engines. Google sets certain criteria for web content. All web content must be easy to read, relevant to the website and it MUST be original. Google scans every single webpage to ensure that content is not copied from another website or blog. Penalties apply if all of the web content is copied, or just a small portion of it. This includes content that has been copied even if the words have been changed slightly. The best way to attract more visitors to your blog is to consistently post relevant and interesting information. Keep in mind that a blog is not meant to be an advertisement of your business but a marketing tool to attract visitors to your website. Once they are there, they might just search around. Even if all they do is read and share your blog, you have the opportunity to gain potential customers that come to trust your business and recognize your brand. Let us help you create and maintain your blog. Alter Impact has over 14 years of experience creating quality web content for businesses both large and small. For more information, please contact us today. 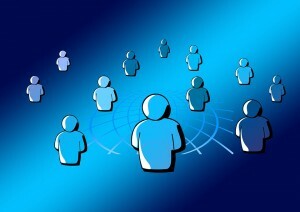 Read and comment on other blogs that are in your targeted niche. Be sure to always write intelligent, useful comments with a link back to your own blog. Submit your blog to the search engines. Submit your blog to blog directories. Add a link to your blog in your email signature. Put a link to your blog on every single page of your website. If your business publishes a newsletter, make sure that you include a link to your blog in every issue. Include a link to your blog as a standard part of all outgoing correspondence such as on sales letters and reports. Print your blog’s URL on your business cards, post cards, brochures and flyers. Update your blog often with relevant and interesting information to attract your readers to check back often. Post a link to your blog on social media sites such as Facebook and Twitter. It can take some time to attract a large number of readers to your blog. Staying consistent will pay off in the long run. Alter Impact can help your business create and update their blog. During the month of May receive $25 off your new monthly blogging subscription. For more information, please contact us today. 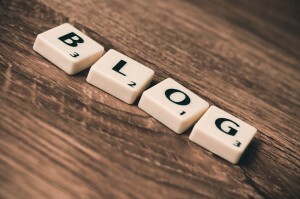 Orange County’s Top Marketing Professionals Agree – You Need a Blog! We all know how hard it is to run a business. It can be daunting to maintain 200 or more emails per day, multiple projects at one time and still make it home in time for dinner. Blogging is probably the last thing on your mind. However, if you aren’t blogging you are probably losing business. When done well, blogging can be an extremely effective business tool. And Orange County’s top marketing professionals agree that blogging isn’t going anywhere anytime soon. 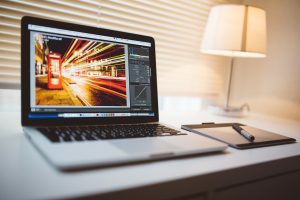 What can blogging do for your business? Blogging is a personal and down-to-earth way to keep your customers informed about your latest product offerings and your company’s culture. It’s far more effective than social media, networking events and call centers. When done right, blogging can bring a lot of revenue to your business. Once you decide what you are going to offer through your blog, you’ll begin to prioritize your day differently. You’ll have comments to respond to, emails to answer and social media promoting to do, all of which creates a steady flow of targeted warm leads for your business. Blogging is the future of news delivery. However you define success, blogging is a great way to track it. Consider blogging the results of your business’ advertising and marketing campaigns. Make sure to include revenue reports for the best results. Blogging is a public-facing event with the sole purpose of gaining readers. These readers in turn provide an honest opinion about our business, keeping you focused on both your published and public goals. If you’re a business owner without a blog then you’re already behind your competition. These are just a few of the benefits to blogging. Professional blogging can take your business to the next level. For more information about how we can help you with your blog or marketing campaign, please contact us today! A blog, when done right, can act as both a direct and indirect mechanism to bring a large amount of qualified visitors to your website, many of whom might become loyal customers. This is due largely to the way that blogs interact with the search engines. Let’s take a closer look at how a blog helps your business. When it comes to optimizing your website for the search engines it’s important to remember both on page as well as off page optimization. On page optimization refers to the elements of a web page that help it rank well in the search engines. These include keywords, headers, links and more. Off page optimization refers to things that are done outside of your website, specifically links on other websites that point visitors back to your site. In order to rank within the first couple of pages on the search engines you must work extensively on both your on page and off page optimization. The search engines love to see fresh, original, quality content. This doesn’t necessarily mean that you need to add content to your website every single day, but rather regularly at the same rate over time. For example, if you add three pages every week then you will need to keep that pace up or decrease it slowly, preferably over a couple of months. A regularly updated blog provides the perfect tool for adding fresh content to your website. When you add links within your blog post that point back to your other web pages, you can significantly improve your rankings with the search engines. However, keep in mind that the links must be relevant to the content in your blog post. When updating your blog, remember that visitors are looking for useful, free information that they can use. The less you talk about your product or services, the better. For example, if you sell furniture, instead of writing about how your furniture is the best in the world, consider writing about how to find the best piece of furniture for each room. This is the type of information that will keep visitors engaged and checking back regularly. Adding a blog to your business website is an excellent way to attract more traffic. You will acquire direct traffic from your posts which will be indexed by the search engines and you will also acquire indirect traffic from the links that are strategically placed in your blog posts.